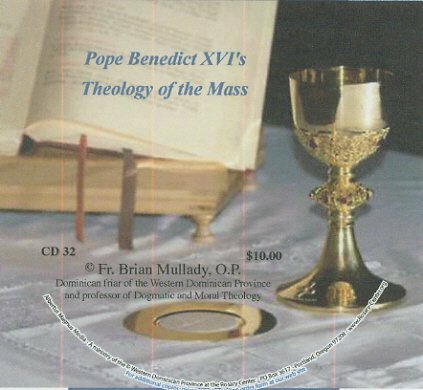 Pope Benedict XVI's Theology of the Mass as explained by Fr. Brian Mullady, OP. CD - $10.00.